This summer, perfect your swing! A practice green will be created just above the Village, so you can perfect your swing. This activity will be included in the Outdoor Card. 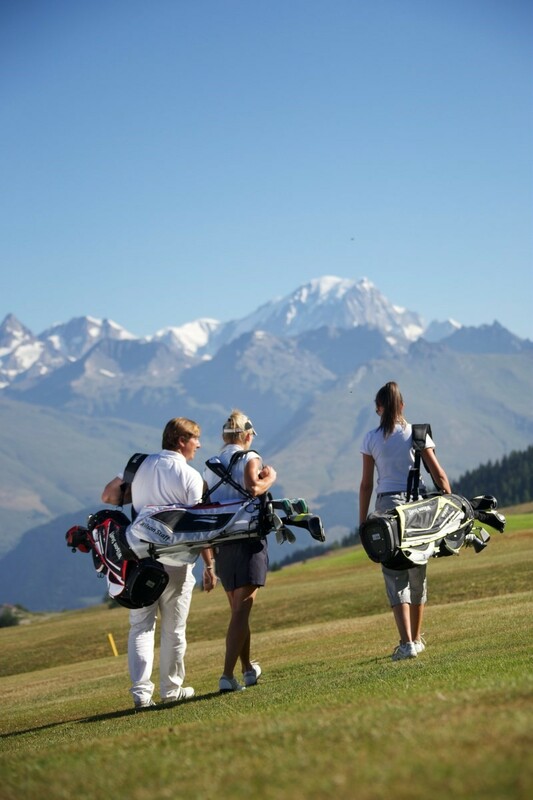 During the summer season in Les Arcs, experienced golfers and beginners wanting to try the sport can enjoy a unique course with a panoramic view over the Tarentaise valley and Mont Blanc. 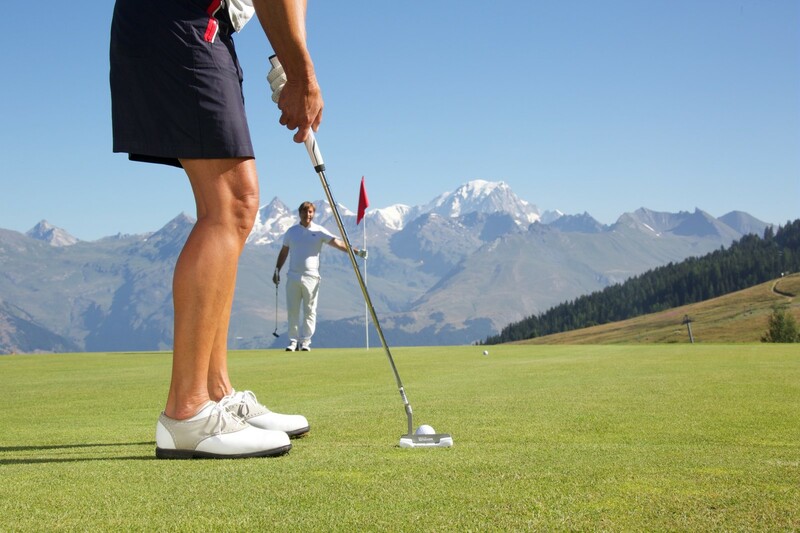 The different courses allow you to enjoy a round of golf while admiring some of the best alpine scenery in Savoie. 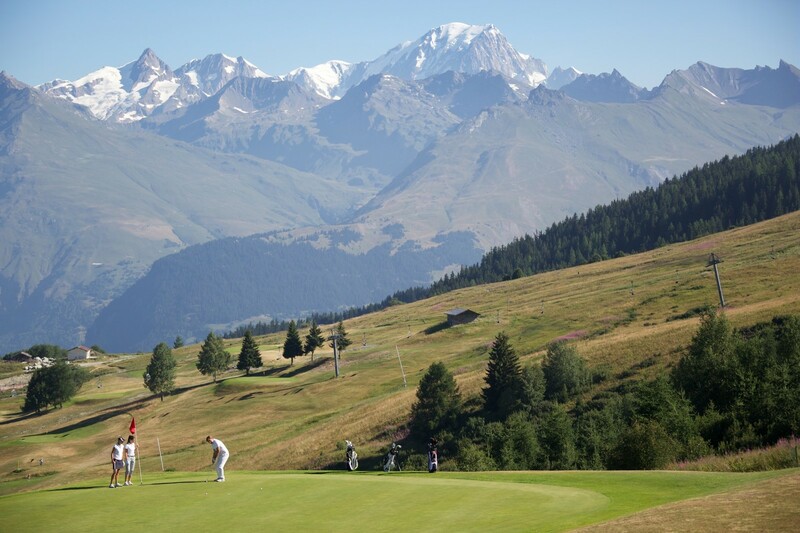 There are two courses in Les Arcs: an officially-recognised 18 hole course (par 70) and a short 9 hole course (par 27). There is also a partly-covered practice range with several greens. Les Arcs golf course is in Arc 1800 at the top of Les Villards gondola (free for pedestrians). Try our free Street Golf activity every Monday, 10 – 12am, in front of Manoir Savoie in Arc 1950, Le Village with our golf pro, Vanessa! You can register from Sunday at the Spirit 1950 by Evolution 2 office. The number of places is limited, so get signed up straight away for a session of Street Golf in the heart of the Alps! For summer 2018, a Golf activity has been added to the Outdoor Card which offers three free activity sessions over a week’s stay for every member of the family. It’s the perfect opportunity to try the new practice green in Arc 1950 Le Village! To improve your game further while you are staying in Les Arcs, Vanessa can offer private lessons with personalised instruction on the golf course in Les Arcs or elsewhere in the Tarentaise. She is a real golf enthusiast and will make ensure That this activity is an unforgettable memory of your summer holiday in the mountains. Price: 19 € / person for a 1½ lesson. Information and reservations at the Spirit 1950 by Evolution 2 office!